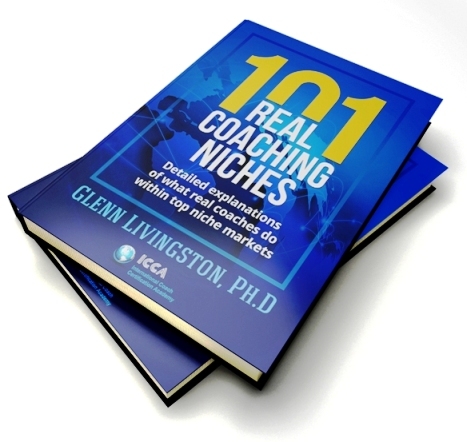 FREE EBOOK: 101 Real Coaching Niches! Most coaches make a critical business mistake by advertising as a general coach. Because they’re focused on their own communication skills, and because these skills are applicable to ANY problem, they reason they should put themselves out in the market as a general coach. That’s a big mistake from both a marketing perspective AND a coaching-skills-development perspective. Why? CONFIDENCE is what makes it possible to charge more and keep clients longer, while RESULTS are contagious: Friends, family, and colleagues of those you helped achieve lasting, positive change are much more likely to notice and ask for your number. CONFIDENCE also helps you keep clients long enough to accomplish their most desired results. It creates a significant reduction in the need to acquire new clients, and can seriously improve referral percentages…a powerful combination! (Of course it’s entirely up to you whether you want to use a long term or short term coaching model. There are pros and cons to both, but you should know our coaching SYSTEM is unique in its focus on preventing clients from leaving prematurely before they’ve reached their goals). So choosing to niche is a very important part of a successful coach’s career path! Now, some people worry that they’re going to “box themselves in” by choosing a niche. They agonize for years about the decision because they’re sure they’re going to have to live with it forever. But nothing could be further from the truth: By choosing an initial niche you make it possible to more easily get clients and develop both coaching and marketing skills. These skills are easily transferable to other niches once you get the hang of it. Others refuse to niche because they’re concerned they’ll get bored talking about and solving the same set of problems, day in and day out for years. I understand why people may THINK this, but in practice it’s a very different story because once you “take the thorn out of the lion’s paw” (solve your client’s MOST pressing problem), it’s only natural for them to bring you issues from the rest of their lives. So in reality, if your goal is to have a practice full of clients who talk to you about the full spectrum of their lives in an intimate and trusting way… nicheing IS the way to get there! Instead they think things like “Why the hell can’t I stop eating chocolate?”, “I can’t stand the attorneys at my firm, I need to find a new one or start my own!”, “How can I help my child get better grades in school so (s)he can get into college?”, “My wife is driving me crazy, I just can’t figure out how to talk to her”, “It’s almost impossible to navigate this ‘adopt a kid from China’ maze, help!”, “My business partner is a cheat. He’s also my brother. How do I get him out after all these years?”, “How the heck am I ever going to get this dog to stop crapping on the carpet?”, “Why can’t I break 200 in bowling?”, “I’ve been diagnosed with a terminal illness and I’m terrified”, etc. And if these kind people were met with Chocolate Addiction Coaches, Legal Career Coaches, Adoption Coaches, Family Business Coaches, Academic Parenting Coaches, etc, it becomes immediately obvious why they’re SO much easier to attract. REMEMBER: Coaches today can work with anyone across the globe thanks to Skype and Video Conferencing on the internet. And they can reach a much larger and more specific audience for less money, time, and effort than was ever possible in the past. When you think about it, the real question isn’t “Should I Choose a Specific Coaching Niche?” but which one is best for you to get started with! That’s why we’ve listed 101 real coaching specialties to help you get some ideas about the areas where you can excel as a coach. From coaching in hobbies that may help you establish a modest second income to coaching in business-related areas that could net you a six-figure salary, we’ve covered all the bases to give you a number of ideas. 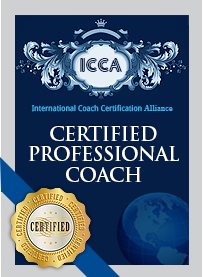 REMEMBER:In just 12 weeks, you can become a certified professional coach, confident in your abilities, and fully equipped to grow a thriving practice from anywhere or your money back!